Global Summer School (GSS) is a summer programme run by NTU, which welcomes students from around the world to study at NTU. The courses are two to four weeks in duration from 8 July to 9 August 2019. Are you staying in Nottingham this summer? Interested in developing your skills and your CV? Want to gain international experience right here on campus? Global Summer School (GSS) is a summer programme run by NTU, which welcomes students from around the world to study at NTU. The courses are two to four weeks in duration from 8 July to 9 August 2019. There are a range of courses available across different subjects from Architecture to Sociology. NTU Global is running a competition to recruit Global Summer School student buddies who will win a place on a two-week summer school course alongside the international students. Upon successfully completing the course you will be awarded 10 credit points* which will be recorded on your diploma supplement (HEAR). As a part of the student buddy role you’ll also help us welcome, support, and offer friendship to our international summer school students. Accompanying students on a UK City trip (optional) and local sightseeing activities. 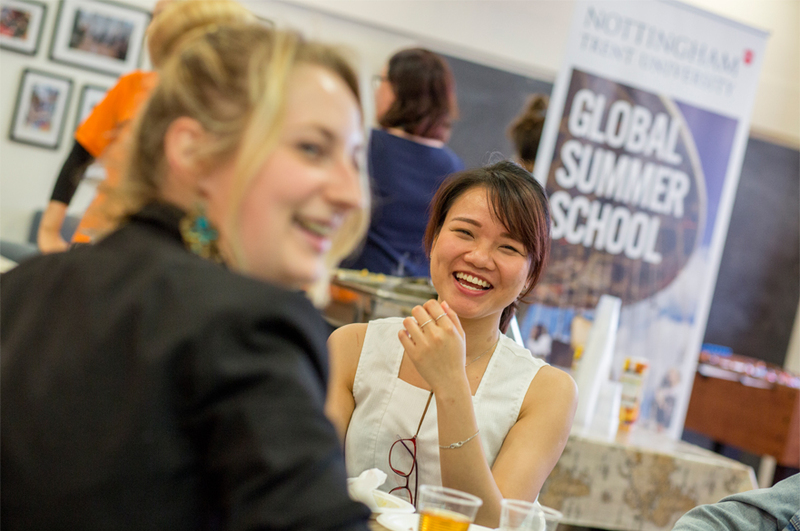 Take a look at the NTU Global Summer School page to find out more about the programme! To apply, download our application form and email it to us by 19th May 2019!